EKM is one of a number of internet related services which are provided by EKM Systems. The following terms and conditions apply in respect of the provision of all such internet related services which EKM Systems may provide to the Customer, not simply EKM. EKM Systems may vary these terms and conditions when it considers it necessary to do so. However, EKM Systems shall provide the Customer with as much notice as is reasonably possible (which may be by email and/or a pop-up splash screen when the Customer logs into any EKM Website and/or any EKM Application) and, in any event no less than 30 days' notice (save where such variation results from a change in applicable laws or regulations). The Customer is responsible for regularly reviewing these terms, conditions and notices. Continued access to or use of the Services provided by EKM Systems after any such change shall constitute consent to such change. Unless explicitly stated otherwise, any new services or features that change or improve the Services shall be subject to these Conditions, as modified from time to time. "Contract" means the contract between EKM Systems and the Customer for the supply of Services in accordance with these Conditions. "Customer" means the person or firm who purchases Services from EKM Systems. "Customer Feedback" means any feedback and/or suggestions which the Customer may provide to EKM Systems from time to time in relation to the Services and other services which EKM Systems might consider offering in the future. "Customer Materials" means any and all instructions, requirements, specifications, materials and/or other content which the Customer provides to EKM Systems (which shall include any and all content which the Customer uploads into any EKM Application or onto any hosting environment provided by EKM Systems) from time to time (other than any Customer Feedback). "Customer Payment Service Providers" means the third party service providers necessary to enable the Customer to receive payments via any website hosted by EKM Systems as part of any Services, which shall include any and all merchant acquirers and internet payment service providers (which may be providing payment gateways). "Customer's Log-In Details" means the username and password details required for the Customer to log-in to any EKM Website and/or any EKM Application. "Deliverables" means: (i) in respect of any EKM Standard Services, any deliverables or other output created as a result of the use by the Customer of such services (by way of example, in respect of EKM, the Deliverables shall mean: (a) the e-commerce website which the Customer creates using the applicable EKM Application; and (b) the hosting of such website); and (ii) in respect of any EKM Bespoke Services, the deliverables set out in the Quotation which are to be produced by EKM Systems for the Customer. "EKM Application" means an application made available (via the internet as a hosted application service, or by any other means) by EKM Systems to the Customer as part of the provision of a Service. "EKM Bespoke Services" means any one or more of EKM Systems' service offerings which requires EKM Systems to undertake bespoke work on behalf of the Customer, including: EKMwebdesign. "EKM Materials" means any and all materials, applications and/or other content made available to the Customer by EKM Systems in providing any Service. "EKM Standard Services" means any one or more of EKM Systems' standard service offerings, including: (i) EKM; (ii) EKMresponse; (iii) EKMdigitalvault; (iv) EKMsitebuilder; (v) EKMpinpoint; (vi) EKMcompass; and (vii) EKMhosting. "EKM Systems" means EKM Systems Ltd registered in England and Wales with company number 04774091 and with registered address at Unit 6 Arkwright Court, Commercial Road, Darwen, Lancashire BB3 0FG. "EKM Website" means, in respect of a particular Service, the applicable website operated by EKM Systems for such service. By way of example, in respect of EKM, the EKM Website means the website accessed via the url: https://www.EKM.com/. "Order" means: (i) in respect of any EKM Standard Services, the Customer's order for one or more of such services made by completing the "Sign Up" process via the EKM Website; and (ii) in respect of any EKM Bespoke Services, the Customer's written acceptance of EKM Systems' Quotation for the same. "Quotation" means, following receipt of Requirements for the provision of EKM Bespoke Services from the Customer: (i) EKM Systems' description of the EKM Bespoke Services (which may or may not be similar or identical to those requested within the Requirements); together with (ii) EKM Systems' cost quotation for the provision of such EKM Bespoke Services. "Service Levels" means: (i) in respect of any EKM Standard Services, the service levels described on the relevant EKM Systems website; and (ii) in respect of any EKM Bespoke Services, the service levels set out in the applicable Quotation. "Services" means the EKM Standard Services and/or the EKM Bespoke Services (as may be ordered from time to time by the Customer). "Specification" means: (i) in respect of any EKM Standard Services, the specification of the Services as more particularly described in the "overview" section of the relevant EKM Website; and (ii) in respect of any EKM Bespoke Services, the specification set out in the applicable Quotation. 2.1The Order constitutes an offer by the Customer to purchase the applicable Services in accordance with these Conditions. 2.2The Order shall only be deemed to be accepted: (i) in respect of any EKM Standard Services, when EKM Systems provides online access to the applicable services and has received the initial payment from the Customer in respect of the same; and (ii) in respect of any EKM Bespoke Services, when EKM Systems issues written acceptance of the Order, at which point and on which date the Contract shall come into existence ("Commencement Date"). 2.3 The Contract constitutes the entire agreement between the parties. The Customer acknowledges that it has not relied on any statement, promise or representation made or given by or on behalf of EKM Systems which is not set out in the Contract. 2.4 Each EKM Website includes certain content which was not created by EKM Systems, including: (i) details of/links to other websites; (i) details of customer testimonials; and (iii) blogs written by third parties (including customers). This content is included for information only but is not intended to make any representations with regard to the Services. The parties acknowledge that they shall not form part of the Contract or have any contractual force. 2.5 Any advertising issued by EKM Systems, and any descriptions or illustrations contained in EKM Systems' catalogues or brochures, are issued or published for the sole purpose of giving an approximate idea of the Services described in them. They shall not form part of the Contract or have any contractual force. 3.1.1 The Service Level availability measure refers to an access point on EKM Systems' hosting provider's backbone network. It does not apply to the portion of the circuit that does not transit the hosting provider's backbone network, as the Customer is responsible for its own internet access. Availability does not include scheduled or emergency maintenance events, Customer or third party caused outages or disruptions, or outages or disruptions attributable in whole or in part to force majeure events within the meaning of condition 14.3. 3.1.2 All measurements are performed at five-minute intervals and measure the availability of a test page within 30 seconds. Availability measurement shall be carried out by EKM Systems and is based on the monthly average percentage availability, calculated at the end of each calendar month as the total actual uptime minutes divided by total possible uptime minutes in the month. 3.2 The parties agree that any performance timescales specified by EKM Systems shall be estimates only and time shall not be of the essence for performance of the Services. 3.3 EKM Systems shall have the right to make any changes to the Services which are necessary to comply with any applicable law or safety requirement, or which do not materially affect the nature or quality of the Services, and EKM Systems shall notify the Customer in any such event. 3.4.2 it has the right to make available the EKM Websites, the EKM Applications and EKM Materials for use by the Customer in the manner permitted under these Conditions. the Customer shall reimburse EKM Systems on written demand for any costs or losses sustained or incurred by EKM Systems arising directly or indirectly from the Customer Default. Any complaints regarding a registration, usage or abuse of a domain name should be made to EKM Systems' Customer Support team on 0333 004 0333 or emailed to abuse@ekm.com. 4.1 EKM Systems agrees to provide the Services to the Customer solely for the Customer's business purposes. The EKM Standard Services are standard services and, as such, are automatically accepted by the Customer when the applicable Order is made. 5.2.1 On delivery of each Deliverable, the Customer shall be able to access the Deliverable in the manner specified in the Quotation. Within five days of EKM Systems notifying the Customer of such access being made available, the Customer shall review the Deliverable to confirm that it functions in material conformance with the Specification. If the Customer believes that the Deliverable fails in any material respect to conform with the Specification, the Customer shall give the Supplier a detailed description of any such non-conformance ("Defect"), in writing, within the five-day review period ("Defect Notice"). 5.2.2.3 where EKM Systems can show that the relevant Deliverable has been produced in accordance with the Specification (and this shall automatically be the case where EKM Systems can demonstrate that the Deliverable passes any acceptance tests which are expressly set out in the Quotation), notwithstanding any Defect Notice. 5.2.3 Where any Defect results from a Customer Default ("Non-EKM Defect"), the Deliverable shall be deemed accepted notwithstanding any Defect Notice. EKM Systems shall provide assistance reasonably requested by the Customer in remedying any Non-EKM Defect by supplying additional services or products. The Customer shall pay EKM Systems in full for all such additional services and products at EKM Systems' then current fees and prices. 6.1 The Customer shall only use the EKM Websites, EKM Applications and EKM Materials in the manner permitted by these Conditions. 6.2.1 EKM Standard Services: All Customer Materials must be provided in the format required by the applicable EKM Website/EKM Application. 6.2.2 EKM Bespoke Services: Unless agreed otherwise in writing, all text will be provided by the Customer in electronic format (ASCII text files delivered on CD via overnight courier or via e-mail or FTP) and that all photographs and other graphics will be provided physically in high quality print suitable for scanning or electronically in .gif, .jpeg or .tiff format. Additional expenses may be incurred and will be invoiced accordingly for corrective work, conversion of media or outside facility charges. Although a reasonable attempt shall be made by EKM Systems to return to the Customer any images or printed material provided in respect of the provision of the Services, such return cannot be guaranteed. 6.2.3 The Customer shall ensure that the Customer Materials do not contain any Inappropriate Content or Viruses or cause any Deliverables to contain any Inappropriate Content or Viruses. 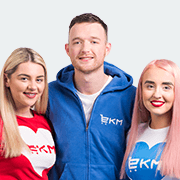 For the avoidance of doubt, Customers should note that EKM Systems do permit the use of its Services for Customers undertaking activity in the "adult entertainment industry", provided there are no pornographic images or other content which EKM Systems may consider offensive. 6.2.4 To the extent that any of the Customer Materials are not owned outright by the Customer, free of any encumbrances, the Customer shall ensure that, before any such Customer Materials are provided to EKM Systems (including by way of upload into any EKM Website or EKM Application) it has obtained all appropriate third party licences and consents necessary for the same. The Customer's attention is particularly drawn to the rules of the Payment Card Industry (i.e. the rules applying to the taking of payments on cards such as Visa, MasterCard, Maestro and EuroPay). The Customer should note that, in providing the Services, EKM Systems is not processing, transmitting or storing any payment card details. This is undertaken by third party payment gateways (provided by Customer Payment Service Providers).The Customer must ensure it is compliant with all the applicable rules put in place by the Payment Card Industry. EKM Systems shall have no responsibility or liability whatsoever for the acts or omissions of any Customer Payment Service Provider. 6.4 Where the Deliverable is a website, the Customer acknowledges that EKM Systems has no control over any content placed on such website by visitors to such site and does not purport to monitor the content of the site. EKM Systems reserves the right to remove content from any such website which it is hosting where it reasonably suspects such content is Inappropriate Content. EKM Systems shall notify the Customer if it becomes aware of any allegation that content on the website may be Inappropriate Content (unless it is prevented from doing so by law). 6.5 The Customer shall co-operate with EKM Systems in all matters relating to the Services and shall provide EKM Systems with such information and materials as EKM Systems may reasonably require in order to supply the Services, and ensure that such information is accurate in all material respects. 6.6 Where the Deliverables under a Contract for the provision of EKM Bespoke Services include the creation of a website to be installed on a third-party server, the Customer must grant EKM Systems the necessary access to the Customer's storage directories, and those directories must be accessible via FTP. Depending on the specific nature of the project, other resources might also need to be configured on the server. 6.7 Responsibility for Backing Up Data: Where stated as part of the relevant Service, EKM Systems shall make periodic back-ups of the Deliverables. The Customer acknowledges that such back-ups may be made outside of the UK and outside of the EEA. However, the Customer must ensure that any and all data, the loss of which may cause financial or other loss, is backed-up by the Customer. 6.9 Customer Support: Before providing any customer support, for security reasons EKM Systems requires the Customer representative to be authenticated. The Customer acknowledges that EKM Systems has the right to deny the provision of customer support if authentication is not successful. 7.1.1 The Charges for the EKM Standard Services shall be as set out on the applicable EKM Website at the time the applicable Order is accepted by EKM Systems in accordance with condition 2.2. 7.1.2 However, EKM Systems reserves the right to change such Charges when it considers it necessary to do so. However, EKM Systems shall provide the Customer with as much notice as is reasonably possible and, save where a change in applicable laws or regulations affects the cost to EKM Systems in providing a Service, no less than 30 days' notice of the same. 7.1.3 Invoicing: EKM Systems shall invoice the Customer via the relevant EKM Website. 7.1.4 Payment: EKM Systems shall take payment automatically following invoicing using the payment choice chosen by the Customer via the relevant EKM Website. 7.2.1 The Charges for the EKM Bespoke Services shall be as set out on the applicable Quotation, which shall be valid for a period of 30 days from the date of such Quotation. However, the Charges set out in any Quotation which has not yet formed a Contract shall not be binding unless and until the applicable Order is accepted by EKM Systems in accordance with condition 2.2. Any additional EKM Bespoke Services which may be provided at the request of the Customer shall be on a time and materials basis at EKM Systems' then current standard rates. 7.2.2.2 EKM Systems may change the Charges for any ongoing maintenance services on no less than 14 days' written notice to the Customer. 7.2.3 Invoicing: The invoicing procedures for the EKM Bespoke Services shall be as set out on the applicable Quotation. 7.2.4 Payment: Unless stated to the contrary, EKM Systems shall require payment of the Charges in cleared funds prior to the commencement of the EKM Bespoke Services. Where otherwise agreed in any Quotation, the Customer shall pay each invoice submitted by EKM Systems by valid payment card (which is accepted by EKM Systems), cheque or bank transfer in full and in cleared funds within 30 days of the date of the invoice but, in any event, prior to release of the applicable Deliverables. Time for payment shall be of the essence of the Contract. Without limiting any other right or remedy of EKM Systems, if any Deliverable has been completed but payment has not been made, EKM Systems may in its discretion choose not to release such Deliverable to the Customer. 7.4 All amounts payable by the Customer under the Contract are exclusive of amounts in respect of value added tax chargeable for the time being ("VAT") unless expressly stated to the contrary. Where any taxable supply for VAT purposes is made under the Contract by EKM Systems to the Customer, the Customer shall, on receipt of a valid VAT invoice from EKM Systems, pay to EKM Systems such additional amounts in respect of VAT as are chargeable on the supply of the Services at the same time as payment is due for the supply of the Services. 7.5 Failure to Pay by the Due Date: Without limiting any other right or remedy of EKM Systems, if the Customer fails to make any payment due to EKM Systems under the Contract by the due date for payment ("Due Date"), EKM Systems shall have the right to charge interest on the overdue amount at the rate of 8% per annum above the then current base rate of Barclays Bank Plc accruing on a daily basis from the Due Date until the date of actual payment of the overdue amount, whether before or after judgment, and compounding quarterly. 7.6 The Customer shall pay all amounts due under the Contract in full without any deduction or withholding except as required by law and the Customer shall not be entitled to assert any credit, set-off or counterclaim against EKM Systems in order to justify withholding payment of any such amount in whole or in part. EKM Systems may, without limiting its other rights or remedies, set off any amount owing to it by the Customer against any amount payable by EKM Systems to the Customer. 8.1 The Services, EKM Websites and EKM Applications: All Intellectual Property Rights in or arising out of or in connection with the Services (including the EKM Websites and the EKM Applications) shall be owned by EKM Systems. Except as expressly stated in these Conditions, these Conditions do not grant the Customer any rights to, or in, any such Intellectual Property Rights. 8.2 EKM Materials: All EKM Materials are the exclusive property of EKM Systems. 8.3 Customer Materials: The Customer shall own all rights, title and interest in and to all of the Customer Materials and shall have sole responsibility for the legality, reliability, integrity, accuracy and quality of the Customer Materials. The Customer grants to EKM Systems a royalty free, non-exclusive, worldwide, non-exclusive licence to use the Customer Materials to the extent necessary for EKM Systems to perform the applicable Services. 8.4.1 The Customer shall own all rights, title and interest in and to all of the Customer Data and shall have sole responsibility for the legality, reliability, integrity, accuracy and quality of the Customer Data. The Customer grants to EKM Systems a royalty free, non-exclusive, worldwide, non-exclusive licence to use the Customer Data to the extent necessary for EKM Systems to perform the applicable Services. 8.4.2 EKM Systems shall follow its backing-up procedures described in condition 6.7. In the event of any loss or damage to Customer Materials or any loss of any data relating to , the Customer's sole and exclusive remedy shall be for the Supplier to use reasonable commercial endeavours to restore the lost or damaged Customer Data from the latest back-up of such Customer Data maintained by EKM Systems. EKM Systems shall not be responsible for any loss, destruction, alteration or disclosure of Customer Data caused by any third party. 8.5.1 All Intellectual Property Rights in any Deliverables (save for any Customer Materials or Customer Data contained in the same) shall be the property of EKM Systems, and EKM Systems hereby grants to the Customer a non-exclusive licence to such Intellectual Property Rights solely for the purposes receiving the benefit of the applicable Services. 8.5.2 Should the Customer wish to use any Deliverable (or any part of any Deliverable, such as artwork and/or graphic logos designed by EKM Systems) beyond the scope originally intended, EKM Systems may, at its discretion, agree to do so under separate agreement. 9.1.2 each party shall take appropriate technical and organisational measures against unauthorised or unlawful processing of the personal data or its accidental loss, destruction or damage. 9.2 Unless indicated otherwise on within the relevant Order, the Customer hereby agrees to allow EKM Systems to collect and process data and information regarding the Customer's use of the Services and to provide this to: (i) sub-contractors and/or companies affiliated with EKM Systems for the purposes of marketing EKM Systems' (or EKM Systems' affiliated companies) services, or other related services; (ii) for any other purpose connected with the Agreement; or (iii) any governmental or regulatory body for the purpose of EKM Systems' compliance with any applicable laws and regulations. EKM Systems will provide the Customer on request with details of all such information held by EKM Systems, and will modify any information that the Customer advises is incorrect. 9.3 EKM Systems may, from time to time, send the Customer information relating to the services of EKM Systems and/or those of other companies that EKM Systems feels may be of interest to the Customer. If the Customer does not want to receive such information, it should inform EKM Systems in writing. 11.2.2 EKM Systems' liability for any breach of Service Levels shall be limited to a maximum of a refund of the Charges for the applicable month in which the failure occurred. Refund requests should be sent via email to refunds@ekm.com. 11.2.3 EKM Systems' total liability to the Customer in respect of all other losses arising under or in connection with the Contract, whether in contract, tort (including negligence), breach of statutory duty, or otherwise, shall in no circumstances exceed the value of the Services provided under the applicable Contract in a 12 month period. 11.3.4 any Virus which is uploaded to EKM Systems from the Customer as a result of the provision of the Services. 12.2.3 the Customer or any of its agents or representatives behaves towards EKM Systems in a manner which EKM Systems considers to be abusive or threatening in any manner. (b) if the Customer terminates the Contract 48 hours or more after acceptance by EKM Systems, EKM Systems may charge the Customer for design work performed prior to the date of notice of cancellation based, in EKM Systems' sole discretion upon either (i) the number of hours of work undertaken at EKM Systems' standard hourly rates; or (ii) for all accepted milestones and a pro-rated amount for partially completed deliverables. 12.4 Without limiting its other rights or remedies, EKM Systems shall have the right to suspend provision of the Services under the Contract or any other contract between the Customer and EKM Systems if the Customer becomes subject to any of the events listed in condition 12.1.1 to condition 12.1.13 or condition 12.2.1 or 12.2.2, or EKM Systems reasonably believes that the Customer is about to become subject to any of them, or if the Customer fails to pay any amount due under this Contract on the due date for payment. 12.5EKM Systems reserve the right to refuse service to anyone for any reason at any time. The Customer may cancel their products and services with EKM Systems by calling 0333 004 0333 (choose option 3) and requesting the cancellation with our customer care team. You can request a callback from our customer care team by emailing customercare@ekm.com but for security reasons, cancellation requests cannot be accepted by email. EKM annual plans are billed annually and are a 12 month commitment. No refunds or partial refunds will be offered if the EKM service is cancelled within the 12 month period. 14.1 Marketing & Publicity: EKM Systems reserves the right to refer to the Customer and/or feature the Customer's name, logos, product or service brand names, and/or any Deliverable in its own marketing, advertising and/or general promotion (including use on the EKM Websites). No compensation will be paid with respect to EKM Systems' use of the Customer Feedback. EKM Systems is under no obligation to post or use any materials the Customer may provide and may remove such materials at any time at EKM Systems' sole discretion. 14.3.1 For the purposes of this Contract, "Force Majeure Event" means an event beyond the reasonable control of EKM Systems including strikes, lock-outs or other industrial disputes (whether involving the workforce of EKM Systems or any other party), failure of a utility service or transport network, act of God, war, riot, civil commotion, malicious damage, compliance with any law or governmental order, rule, regulation or direction, accident, breakdown of plant or machinery, fire, flood, storm or default of suppliers or subcontractors. For the avoidance of doubt, the Customer acknowledges that a failure on the part of EKM Systems' internet connection providers shall constitute a Force Majeure Event. 14.3.2 EKM Systems shall not be liable to the Customer as a result of any delay or failure to perform its obligations under this Contract as a result of a Force Majeure Event. 14.3.3 If the Force Majeure Event prevents EKM Systems from providing any of the Services for more than 4 weeks, EKM Systems shall, without limiting its other rights or remedies, have the right to terminate this Contract immediately by giving written notice to the Customer. 14.4.1 EKM Systems may at any time assign, transfer, charge, subcontract or deal in any other manner with all or any of its rights under the Contract and may subcontract or delegate in any manner any or all of its obligations under the Contract to any third party or agent. 14.4.2 The Customer shall not, without the prior written consent of EKM Systems, assign, transfer, charge, subcontract or deal in any other manner with all or any of its rights or obligations under the Contract. 14.5.1 Any notice or other communication required to be given to a party under or in connection with this Contract shall be in writing and shall be delivered to the other party personally or sent by prepaid first-class post, recorded delivery or by commercial courier, at its registered office (if a company) or (in any other case) its principal place of business, or sent by fax to the other party's main fax number. 14.5.2 Any notice or other communication shall be deemed to have been duly received if delivered personally, when left at the address referred to above or, if sent by pre-paid first-class post or recorded delivery, at 9.00 am on the second Business Day after posting, or if delivered by commercial courier, on the date and at the time that the courier's delivery receipt is signed, or if sent by fax, on the next Business Day after transmission. 14.5.3 This condition 14.5 shall not apply to the service of any proceedings or other documents in any legal action. For the purposes of this condition, "writing" shall not include e-mails and for the avoidance of doubt notice given under this Contract shall not be validly served if sent by e-mail. 14.6.1 A waiver of any right under the Contract is only effective if it is in writing and shall not be deemed to be a waiver of any subsequent breach or default. No failure or delay by a party in exercising any right or remedy under the Contract or by law shall constitute a waiver of that or any other right or remedy, nor preclude or restrict its further exercise. No single or partial exercise of such right or remedy shall preclude or restrict the further exercise of that or any other right or remedy. 14.6.2 Unless specifically provided otherwise, rights arising under the Contract are cumulative and do not exclude rights provided by law. 14.7.1 If a court or any other competent authority finds that any provision of the Contract (or part of any provision) is invalid, illegal or unenforceable, that provision or part-provision shall, to the extent required, be deemed deleted, and the validity and enforceability of the other provisions of the Contract shall not be affected. 14.7.2 If any invalid, unenforceable or illegal provision of the Contract would be valid, enforceable and legal if some part of it were deleted, the provision shall apply with the minimum modification necessary to make it legal, valid and enforceable. 14.8 No partnership: Nothing in the Contract is intended to, or shall be deemed to, constitute a partnership or joint venture of any kind between any of the parties, nor constitute any party the agent of another party for any purpose. No party shall have authority to act as agent for, or to bind, the other party in any way. 14.9 Third parties: A person who is not a party to the Contract shall not have any rights under or in connection with it. 14.10 Variation: Except as set out in these Conditions, any variation, including the introduction of any additional terms and conditions, to the Contract, shall only be binding when agreed in writing and signed by EKM Systems. 14.11 Governing law and jurisdiction: This Contract, and any dispute or claim arising out of or in connection with it or its subject matter or formation (including non-contractual disputes or claims), shall be governed by, and construed in accordance with, English law, and the parties irrevocably submit to the exclusive jurisdiction of the courts of England and Wales.